Barbara Rothbaum, an expert in the treatment of posttraumatic stress disorder, describes its symptoms and the various treatments currently available. Barbara O. Rothbaum, PhD, ABPP, professor and associate vice chair of clinical research in the Department of Psychiatry and Behavioral Sciences at Emory University School of Medicine, was recently awarded the Paul A. Janssen Chair of Neuropsychopharmacology. Rothbaum's appointment was confirmed by Christian P. Larsen, MD, DPhil, dean of Emory University School of Medicine. As Janssen Professor, Rothbaum will help advance the leadership position of Emory's Department of Psychiatry and Behavioral Sciences in the study of neuropharmacological drugs and their effects on the human brain and behavior. Rothbaum will expand her investigation into the mechanisms and pharmacological treatments of anxiety, posttraumatic stress disorder (PTSD), and other disabling mental illnesses. 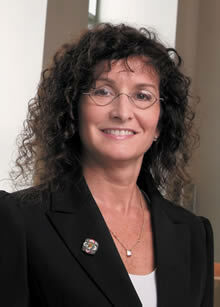 Rothbaum received her PhD in Clinical Psychology from the University of Georgia. She completed her postgraduate training at the University of Georgia and at the Middlesex Hospital Medical School in London, England. She previously held academic and professional appointments at the Medical College of Pennsylvania at Eastern Pennsylvania Psychiatric Institute before coming to Emory in 1990. As director of the Trauma and Anxiety Recovery Program at Emory University School of Medicine, Rothbaum specializes in research on the treatment of individuals with anxiety disorders, particularly PTSD. She is a pioneer in the application of virtual reality exposure therapy to treat individuals with PTSD and other psychological disorders. Rothbaum's outreach efforts include initiating a groundbreaking clinician outreach and training program for combat veterans and their families about PTSD. Rothbaum continues to offer free innovative treatment to post-9/11 veterans with PTSD, and to all veterans who suffered from military sexual trauma. "Dr. Rothbaum has developed, tested, and disseminated some of the most innovative and effective treatments for PTSD. She is an innovator, an intellectual and an entrepreneur who provides tremendous vision, and she is the perfect choice to continue the legacy here at Emory of Dr. Paul A. Janssen," said Mark Hyman Rapaport, MD, chair of Emory's Department of Psychiatry and Behavioral Sciences. Janssen was a leading Belgian researcher, pharmacologist, and physician who founded Janssen Pharmaceutica in 1953. Today, Janssen L.P., a Johnson & Johnson company, is headquartered in the U.S. and continues to develop new treatments for mental illnesses. Among Janssen's many achievements were the synthesis of haloperidol (Haldol), the first antipsychotic medication that allowed patients to be treated at home instead of in institutions; fentanyl, among the most widely used anesthetics in the world; and risperidone, considered one of the most significant milestones in the treatment of schizophrenia.